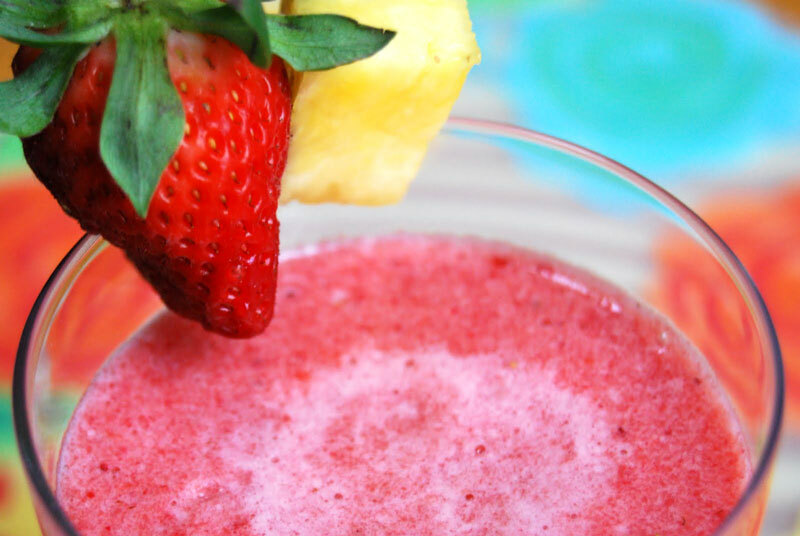 Strawberry Pineapple Smoothie Recipe | Winners Drink Milk! Combine water and pineapple juice, and pour into ice cube trays and freeze. Clean strawberries, remove stems, and freeze. Blend all ingredients together until smooth. Pour into glasses, top with whipped cream and a strawberry garnish, and serve immediately.